A home away from home. Located on the sea side with a view of small portion of sea. Walkable distance only to the attractions of the place.A good economic hotel for a family. 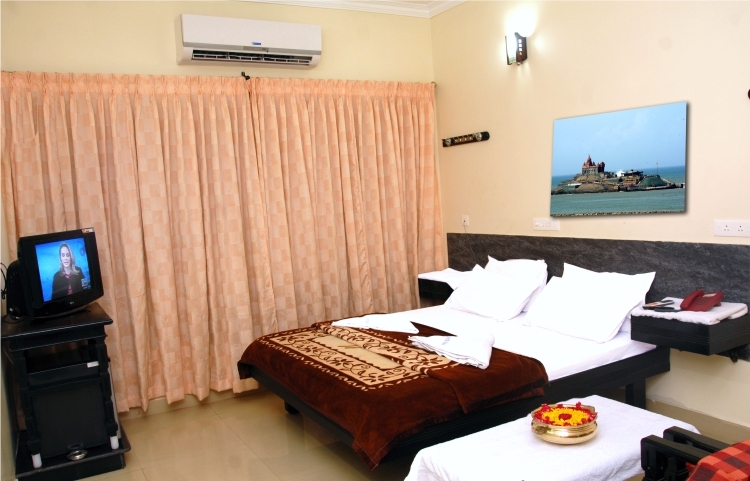 The rooms are well air conditioned well suited for your comfort. Wi-Fi, which has become an indispensable facility, is provided by the rooms at Hotel Rajam, Kanyakumari. Morning tea is made perfect with the provision of a newspaper for all the news-loving guests. Coffee / Tea Maker is also a part of the package the hotel offers. whereas have rated the ambience as colorful and traditional. If you are in need for airport transfers or require a car for sightseeing around the city or you have to do an early check-in, then we recommend contacting the hotel directly and requesting for these additional services. All of the available amenities ensure your stay is enjoyable and free from any hassles. 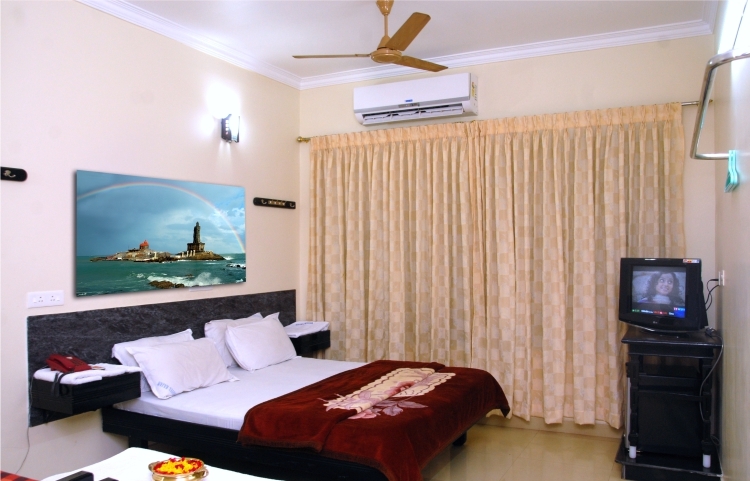 Hotel Rajam provides beachfront accommodation in Kanyakumari. Boasting a 24-hour front desk, this property also provides guests with a terrace. The accommodation features room service and free WiFi. At the hotel, all rooms have a desk. Rooms include a flat-screen TV, and some units at Hotel Rajam have a sea view.